His car is sick, very sick. The total amount of repairs that they recommended was long and expensive. We went through each item, chose those of highest priority, and are having those fixed. It will still be expensive, but at a level where we can stretch to pay it. With one car that doesn't move - we need to get it donated to the VA and get rid of it, a second car (DH's) that is old and falling apart even though it doesn't have a huge amount of miles on it, and my car that is the youngest of the bunch but with over 100,000 miles, we can't count on that either. So, we need something new. But, we didn't win the lottery, so we'll just have to make do for a while more. 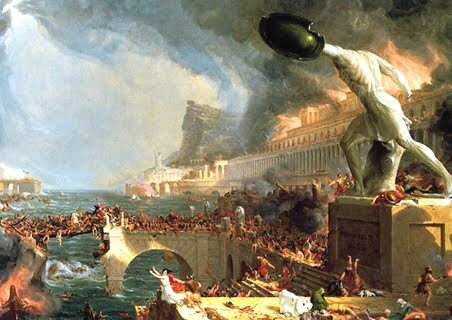 The last prompt for me is from my favorite card - Maglor in History and the subject is the Fall of Rome. So take a look at this Thomas Cole painting which I'll use as my inspiration. So the final prompt for B2ME came through last night and I can combine the last three into a single piece of work which I will start this morning if I have some free time. I can at least begin the research because this story will deal with the fall of Rome and that will require some reading to feel confident about the structure around which I will build my storyline. I'm also trying very hard to catch up with the backlog of stories that people have written. I kept up with them until last week, but then fell behind. It's been a wonderful experience, though. 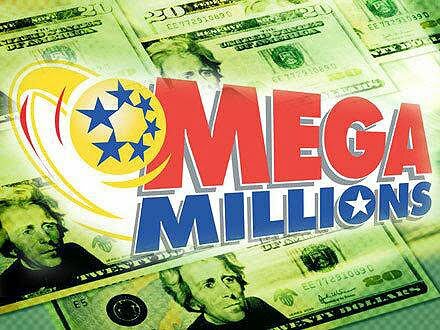 I so rarely buy tickets, I have no gambling mojo at all :-) But that much money, even a 10th of that much money would have been very, very nice. Winnings like that can ruin lives, some people just have no brains when it comes to handling money, others end up swindled, divorced, disowned. Money does strange and not-so-wonderful things to people. I often wonder what the charities (like the VA) do with all those non-working cars! Some of the places we've donated to in the past fix the cars up and resell them. I'm not sure about the other places. My hubby also bought tickets, and there was a pool at work, but I just know the odds are so against me, that I don't bother! But it's nice to dream! Dreaming is essential to life - rather like being creative. Your cars never get better, do they? I'm sorry to hear it's such a mess. Having car trouble really stinks. I've been there so many times and I really feel what you're feeling. Thinking of you. Good luck! !